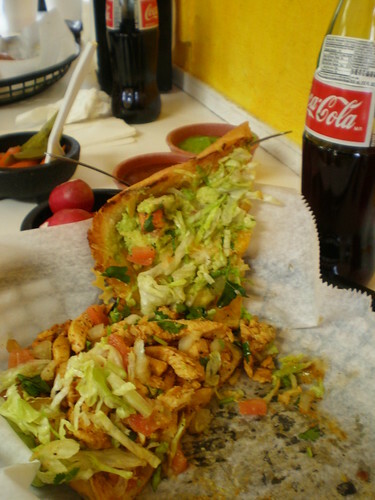 Today, for the third time in a week or two, I decided to run down to Cherokee Street for a Torta and a Mexican Coke at La Vallesana. The radishes, carrots and jalapeños provide for a spicy accompaniment to a very spicy meal (even without the red or green sauce which spice it up exponentially). 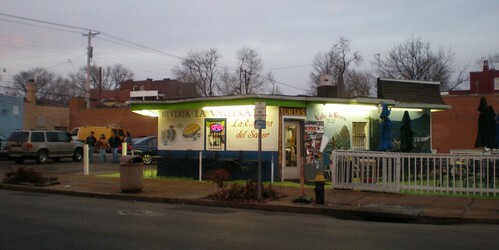 I have been coming here regularly since I read several glowing reviews of this “Taco Stand” in the summer of 2008 (starting with this Sauce Magazine article). I was initially drawn in by descriptions of “Tacos al Pastor” which combine pork and pineapple to create utter deliciousness, but recently it is the Tortas which have kept me coming back. I went there for the first time on Saturday; it is fantastic. While traveling in England, we stumbled across the McKorma. McDonald’s’ bastardization of this Indian dish prompted but one question: What the hell? In a nation with so many excellent Indian restaurants, why would anyone eat McKorma? Then we came to a terrible realization: The taco is the McKorma of the United States.